The overwhelming amount of data in chemical research puts organizations to a real challenge. Molecular structures together with various experimental results, availability and logistics related information need to be registered, stored and made accessible on demand to scientists, who are often spread around continents. While larger organizations have some database solutions, smaller companies tend to keep track of their research data in spreadsheets and other local documents, losing transparency and searchability of this invaluable information. Using ChemAxon’s chemically aware database solutions any research organization can ensure to maintain their scientific data in an enterprise-ready, robust and efficient way. Many of our chemical database storage and search technologies offer a cutting edge approach to ensure market leading performance and robustness. The chemical representation and search is available as a Java API, or as an SQL extension using one of our Cartridges. 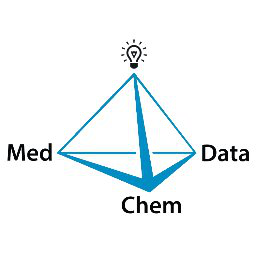 A chemical database is only as good as the quality of the stored data allows it to be. It is vital to make sure that the stored structures are represented in a chemically consistent and correct way. Our database technology automatically converts input structures based on predefined rules to canonicalized compounds. Meanwhile, structural errors are fixed, wherever possible. Even the most powerful backend technology is a half armed giant without an easy to use and versatile user interface. Therefore, ChemAxon offers a number of desktop, as well as web-based applications for chemists to make most of the chemically intelligent backend. These highly customizable solutions offer almost unlimited freedom in designing the database itself, and plugging extra features in. Besides accessing and managing chemical databases, registration of new compounds is a special use case that we offer a ready-to-use, enterprise-ready solution for. It is a very typical scenario for catalogue companies that instead of searching in complex datasets with a lot of metadata associated to compounds they need to be able to handle simple, but huge molecule libraries. Here the challenge is not the data complexity, but the amount of records: these libraries often consist of hundreds of millions of entries, where efficient search is far from being trivial. Our recent developments make it possible to identify relevant molecule sets based on structural similarity in a fraction of a second even for extremely large compound collections, without the need of a relational database.